What is your moving story? 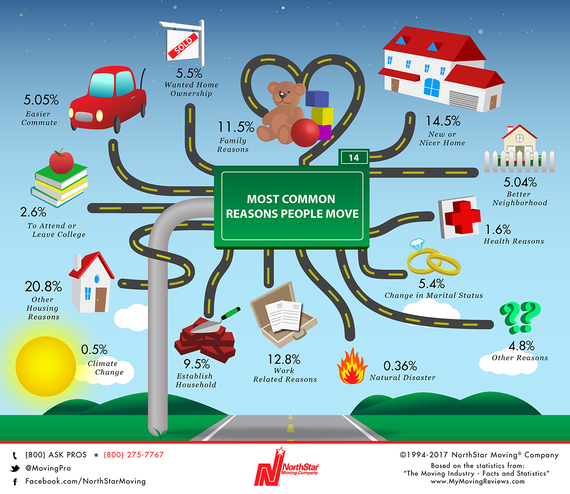 Did you move for a better job, bigger house, marriage, or divorce? Moving is stressful and a ton of work; so why do we do it? It turns out we have very good reasons, often big life changes. For Actress & Fashion Blogger Grasie Mercedes and her husband, Family Guy Writer, TV & Radio Host, and former MTV VJ Damien Fahey, the owner of their building decided to sell the duplex they were renting. They had no choice but to move. Watch their moving story. Remember your last moving day? Why did you move? 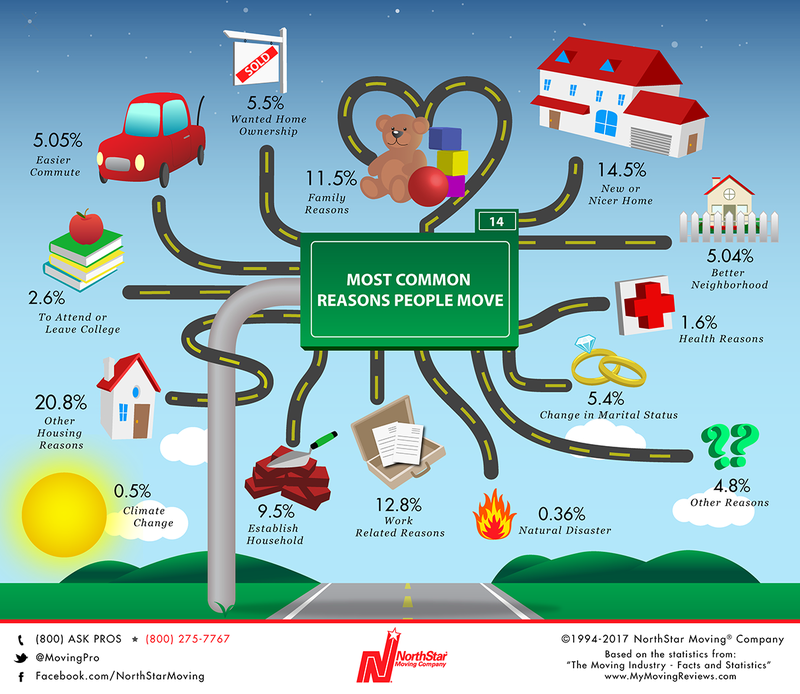 The infographic below illustrates the leading reasons people move.